At BelaCASA, we don’t just say low prices we aim to live them. we will not only match it, we’ll beat it by up to 30%. 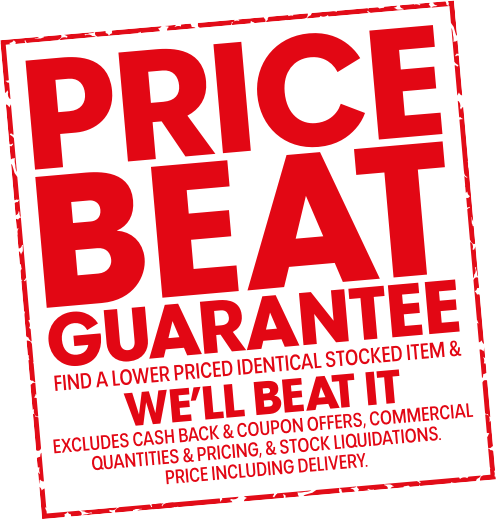 Don’t forget our price guarantee excludes the items listed below under the heading “What items are excluded from the PBG?”. How do I obtain the up to 30% reduction? It’s as easy as 1,2,3. You can obtain the PBG by contacting our manager or visiting our factory. This can be a catalogue clipping, screenshot on your phone, webpage or written quotes. Give us a call or drop in to our factory with your record of the cheaper price. Once approved, we’ll give you even more off the matched price and you’ll head home happy.